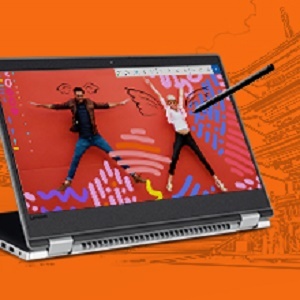 Buy Lenovo Yoga 520 14-inch Full HD Touch Screen Laptop (8th Gen Core i3-8130U/4GB/1TB/ Windows 10 Home) Mineral Grey @ 14% Discount. Starting at 1.74 kg and finished in sleek aluminum, Yoga 520 is available in mineral grey color. Its precision-cut bevelled edges were designed for a clean and modern look, and an updated touchpad provides smooth comfort and improved control. The Lenovo Active Pen features pin-point accuracy and palm-rejection technology, providing the natural feel of a pen-on-paper writing experience. Use it with windows ink, found on the Yoga 520 taskbar, to turn thoughts into action. With 14” FHD IPS touch screen display and Harman speakers with Dolby Audio premium, you’ll be able to watch movies and browse the web in vivid detail from nearly every angle – whether you’re lounging on the couch, or watching with a friend. 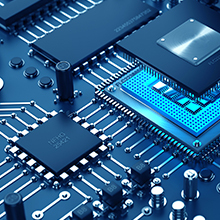 The latest generation of Intel Core i3-8130u processor offers up to a 40% boost in application performance from previous generations. 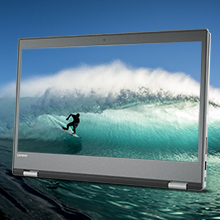 The Yoga 520 is designed to make your life easier. Gorgeous video. Enhanced, immersive audio. 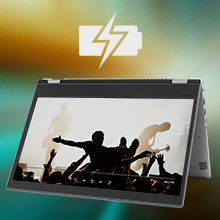 It’s all here in the Yoga 520, a stylish 14” 2-in-1 laptop with a powerful processor and long-lasting battery life. Chic, flexible, creative. Just like you. Work from home, or pop it in your bag on a day out. 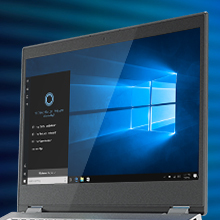 Starting at 1.74 kg, the Yoga 520 will easily go wherever life takes you. Finished in sleek aluminium, the Yoga 520 is available in Mineral Grey, Onyx Black, and Metallic Gold. 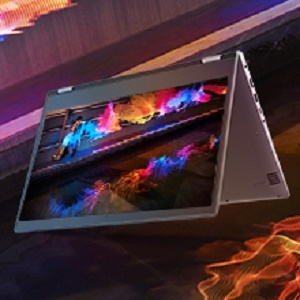 Its precision-cut bevelled edges were designed for a clean and modern look, and an updated touchpad provides smooth comfort and improved control.. More than just a traditional laptop, the Yoga 520 transitions with your schedule. Thanks to a durable 360-degree hinge, you can easily flip into tablet mode for browsing the web, or stream a TV show in tent mode. With this much flexibility, you’ll always find your perfect viewing angle. Yoga 520 brings you Windows 10 Home, built with a host of new features to streamline your life. Meet Cortana, your own personal digital assistant who answers your questions, sets reminders and learns what you like the more you use it. Cortana works with more than a thousand apps to ensure you’ll always have the answers you need. Best of all, Cortana syncs across all your Windows 10 devices to keep you organized. 10.4 hours of battery life means you’ll never feel anchored to an outlet. Plus, the Yoga 520 comes with an always-on USB 3.0 port, which means you’ll be able to charge your other favourite devices even when your laptop is powered off.. With up to a Full HD (14”) IPS touch screen display, you’ll be able to watch movies and browse the web in vivid detail from nearly every angle – whether you’re lounging on the couch, or watching with a friend. And we’ve narrowed the bezels on two sides of the screen to maximize your viewing experience.. Immerse yourself in your favourite album, or stay tuned during a conference call, on Harman Speakers with Dolby® Audio Premium™. Featuring an advanced volume maximize, the Yoga 520 delivers louder, clearer sound quality without digital distortion or pumping – and a sound leveller ensures that your audio will remain consistent no matter what program you’re using. 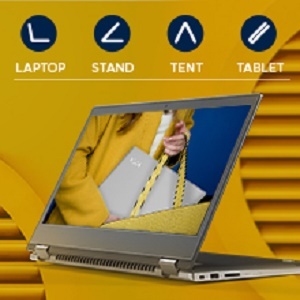 Best Cheap Deals For Lenovo Laptops, Grab Cheap Lenovo Yoga 520 14-inch Full HD Touch Screen Laptop (8th Gen Core i3-8130U/4GB/1TB/ Windows 10 Home) Mineral Grey Online.